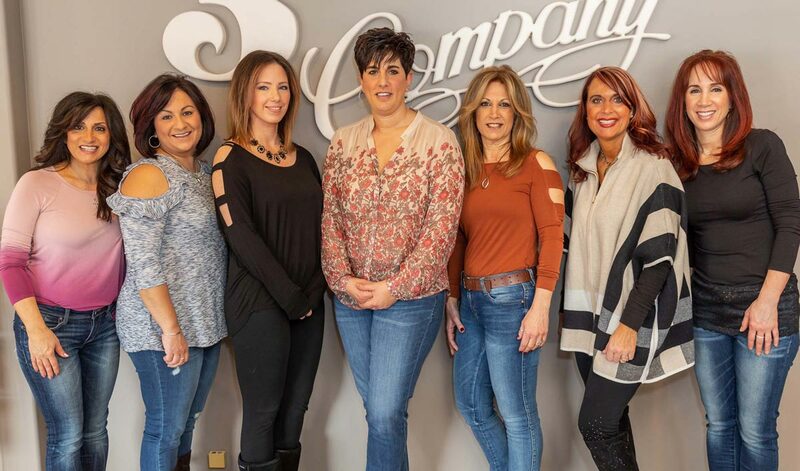 Now celebrating over 30 years in business, Three's Company Beauty Salon was created by Sam and Joanne Bonacci, which were two proud parents and back bone of their three very talented and creative daughters, Tina, Tracy and Tammy. Their father believed in the trade and literally formed the foundation to where it stands today wining an award for the most recognized renovation in Webster New York in 1986 that was documented by the community. Their mother Joanne started in the salon with her two (hence the Salon's name) daughters Tina and Tracy being fresh out of Hair Dressing School. Joanne, who had established a clientele base from doing business at her home, was able to transition into the salon with Tina and Tracy. Joanne cultivated and nurtured the girls and they soon established their own clientele base. By the time Joanne retired in nineteen ninety five, their third daughter Tammy had come aboard, so the salon's name stuck. On behalf of Three's Company Beauty Salon we would like to thank our existing clients for their dedication and commitment and will look forward to obtaining new clients to continue to provide exceptional service and products, with our wonderful family atmosphere. Contact us today to schedule your beauty treatment! The Go-To Salon in Webster for the Best Haircuts, Hair Styling, Hair Coloring, Highlighting, and Waxing! ©2010 - 2019 3's Company Hair Salon | All Rights Reserved.